From the minute, I arrived in Marrakesh, I was scammed. There’s nothing to make me lose my enjoyment of a country faster than to immediately feel like I can’t trust the people who live in that country. The official price for a taxi from the airport to the Djemaa El Fna area of Marrakesh is 70 dirhams during the day and 150 dirhams at night. However, when I asked the price of a taxi, I was told it would be a whopping 300 dirhams. Fortunately, a local expat overheard their quote and came rushing to my side to help me avoid getting scammed. I told the taxi drivers that I would pay no more than 100. A huge argument broke out, and I was soon surrounded by a crowd of taxi drivers. The expat needed to go to the city as well, and we decided to share a taxi, and after ten minutes of negotiations, we got the driver to finally agree to a price of 100. However, once the expat went around the taxi to get in with me, the driver locked the doors, and all the male taxi drivers outside wouldn’t allow the man to share the taxi with me. My taxi driver sped off leaving me feeling unsafe and very rattled. As soon as we got out of sight of the airport, the driver told me I would have to pay him 200 dirhams to get to town. I was so tired of arguing, that I told him I would pay 150 and no more. He argued with me. I told him that he needed to stop the taxi and take me back to the airport. He shook his head. I asked him if the dishonest way he was treating me was how he wanted visitors to think of the people of his country. He finally agreed to 150, which was still dishonest, but I was exhausted, and didn’t have it in me to fight. “Welcome To Morocco.”, he said as he grinned. Little did I know that this “welcome” would be the underlying theme of my entire visit to Marrakesh. Once I arrived to the central square, I had to transfer my bags to a donkey and cart. Since, I was going to a riad, I decided not to even ask how much it would be. I was so tired of arguing, I decided I would let the owners of my riad help me sort out the cost. When I got to the riad, I was told to pay between 20-40 dirhams, so I gave 40. The driver acted outraged, and tried to have me give more. The manager of the riad gave the driver another 10 and told him to leave. However, when the manager left the riad twenty minutes later, the driver was still there. He lied to the manager and told him I had only given 20 dirhams to try to get even more money from him. Don’t even look lost while navigating the streets of Marrakesh. The minute you do will be the minute you will be pounced on by “helpful” guides to show you the way. Once they have guided you to your destination, they will expect payment. And by payment, I mean 150 dirhams ($18 USD), View Current Exchange Rates on Dirham / US Dollar, or more. Even the children are taught to hassle you to “show you the way.” It got very annoying, and made me want to stay out of the streets. If you do get lost, go ask a shop owner for directions, as they can’t leave their shop and won’t try to charge you to give you directions. Also, anyone who you think is being friendly and guiding you through a museum or any other area will also ask you to give them money even though you didn’t ask them to guide you in the first place. Whatever you do, don’t agree to go see the tanneries. The scammers will tell you how amazing they are and how you must see them. The streets of the tannery area are very narrow and easy to get lost in. Once your guide succeeds in getting you completely lost, you will be extorted for huge amounts of money to get out of this smelly and clausterphobic area. Many people who have visited the tanneries have had terrible stories to tell of feeling unsafe and being harassed in the tanneries. DON’T GO! Whatever you do, don’t take a picture of the snake charmers unless you want to pay a high price for it. One group of women that I talked to took pictures, then the charmers separated the women so they couldn’t see each other. They each wound up paying about $10 US for the picture. I had the experience of walking away from one of the snake charmers without taking his picture and he actually chased me around the square with his snake. It was horrifying . Steer clear of these guys. The henna women will give you a tattoo that is larger or extends longer than the one you look at in the book and then demand extra money for the extra work they did. Make sure you agree on the size of the tattoo and cost before getting one. Please whatever you do, don’t support the performing chained monkeys in Marakkesh. These animals are severely mistreated. The monkeys have had their teeth removed and are viciously reprimanded and choked if they don’t comply with the owner’s wishes. With these scams in Marakkesh, you would think the Morocco Tourism Board would do something to change how tourists are treated, but the only thing anyone seemed to care about was making another dirham. 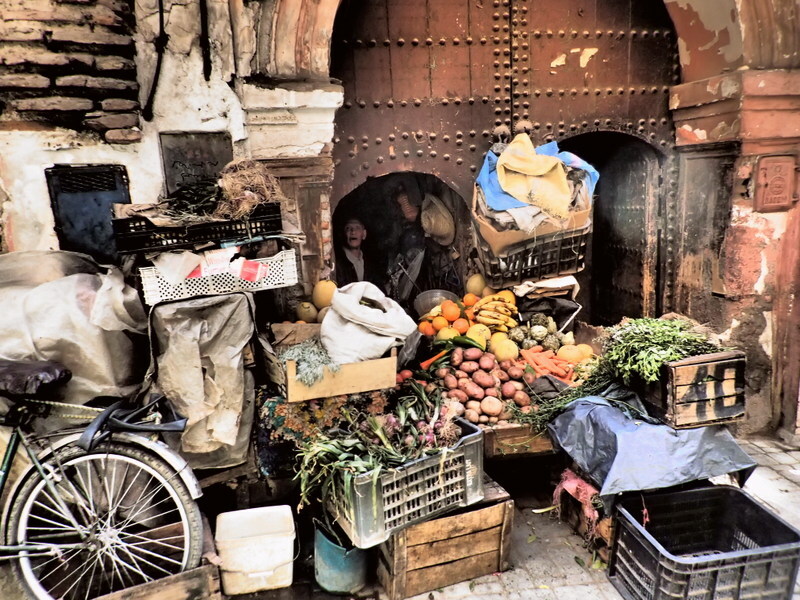 Seeing Marrakesh is an interesting experience as there’s no place like it anywhere else in the world, but for me it was tainted by the sheer number of scams that the locals tried to pull on me every day. Go there at your own risk. That’s terrible that your trip was characterized by this. 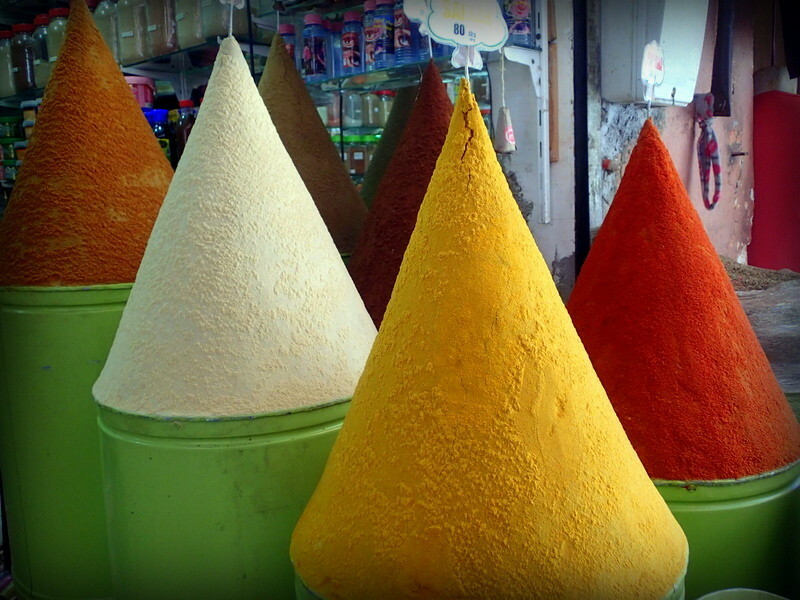 I’ve read good and bad stories about Marrakesh. I’m glad there was an expat to help you out in the beginning though. These tips will help others who go! Yep. your experience of Marrakech Airport taxi drivers is so true, and, unfortunately very usual. Marrakech can be a wonderful city, but travellers do need to be aware of what to do and what not to do, particularly in the Medina. Well, i hope that the rest of your trip was enjoyable. Paul, I am glad that I went, as there’s no place like it, but unfortunately, all of these scams made it unlikely that I’ll ever return. It just got exhausting after awhile. I’m eyeing for Morocco and although I did have encountered cheeky Moroccans in Italy, it still great to have read this and be warned. I am still expecting a great trip there when we do and I know you did to somehow. Yes, it’s still worth seeing, but it wasn’t one of my favorite spots to travel! My husband and I just returned from a 3 day trip to Marrakech. It was exhausting but still a wonderful experience. I wish we would have read this before our trip — we unfortunately got led into the tanneries. Ha! It was an experience. It is truly a unique place with some of the kindest people but you have to constantly be on alert that you don’t get scammed. Just walking through the streets was exhausting. I am glad we went but probably won’t return. We had the guide scam a few years back now, but we knew where we were doing and didn’t need a guide. Guy made out he guided and demanded money. I wish I had read this before arriving there. 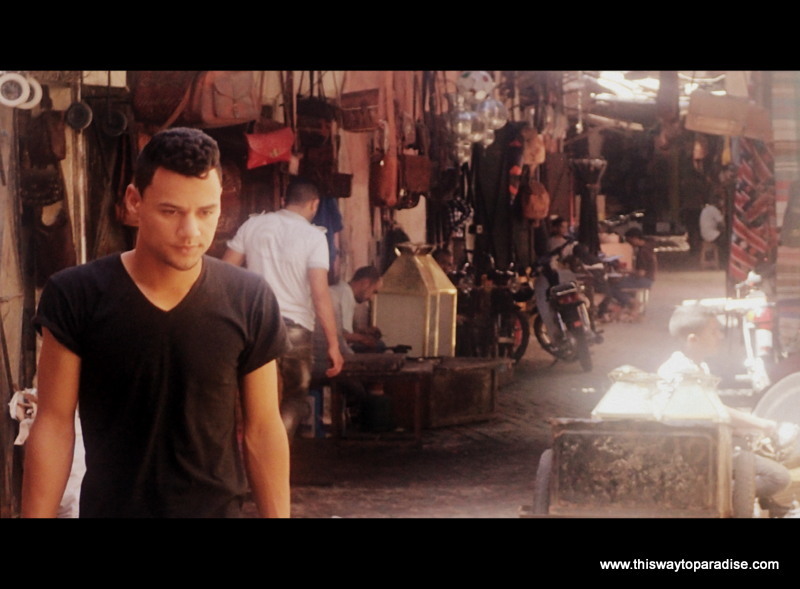 I hated every bit of Marrakech and it was a constant feeling of I want to get the hell out of this city all the time. I wish I had read your blog before travelling to Morroco, we just experienced every scam:from the unexpected tour guide, fake silver, henna tattoo, overpriced leather bags and tourist price restaurant and tourist price food in the riads. I find most of the morrocan people very deceitful and greedy. After 3 nights and 4 days ( May 7-10, 2016 ) in morocco…we vow not to return anymore. 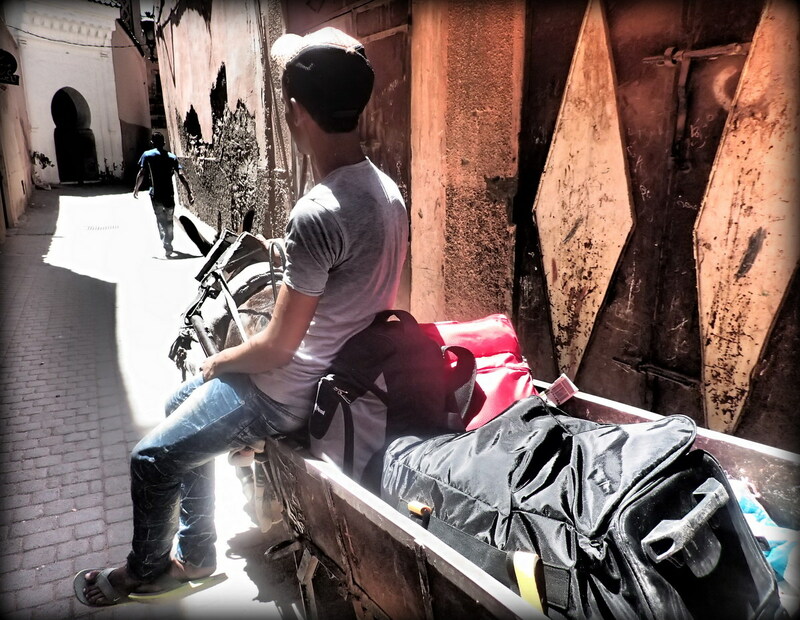 We travelled a lot in different places but Morroco was the worst one…it’s a land of scammers! Yes, it made me not want to return, either! We cannot judge all the country bcse of some stupid ppl and as u met good ppl and I’m sure u did u’ll also meet bad ones. I’m marroccan and i get scammed too lol. Useful post to know what to expect and be prepared. My partner and I spent 4 days in Marrakesh and the best day was the day we got out of this mad city on a private day tour, we went to see the 4 valleys and the berber villages in the Atlas mountains people there where lovely, my parents are moroccan and I was born in Spain the previous times I visited northern morocco I was treated like an outsider but still moroccan. However this time I decided not to say I was moroccan but Spanish instead and pretended I did not speak the language as the few times I did I got into an argument with men of course because they assumed I was not fasting and I was with my partner so I decided to hide it and be a non moroccan tourist, sadly this allowed me to experience first hand what is to be a tourist in Marrakesh horrible and very frustrating, my partner is french and was very disappointed and embarassed how people in this city behaved at one point we tried to have the minimum interaction as possible, it really lets this beautiful country and culture down I hope next time we visit we will have a better experince. The Tourism agency should really do something about many things bust specially about the bullies outside the Medrasa bin Yusef who where agressive and stoped us from getting in and we had to leave.